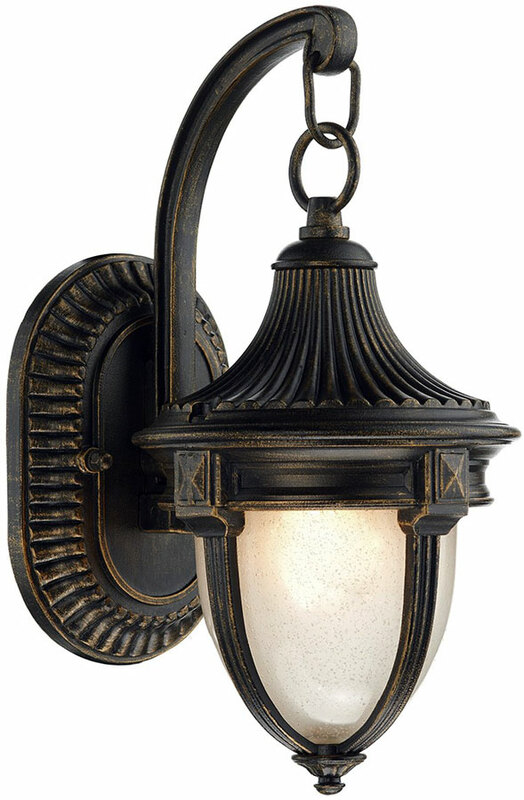 Decorative wall plate and lantern bracket, with a small acorn shaped hanging lantern and obscured antique effect glass. This fitting will accept an energy saving lamp and is IP44 rated with a 5-year finish guarantee. Other products in the Richmond range can be viewed below and include a larger version of this traditional outdoor wall light.